↑ Robson, John (2009). 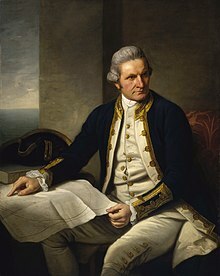 Captain Cook's War and Peace: The Royal Navy Years 1755–1768. University of New South Wales Press. pp. 19–25. .